Foundation cracks and bowing are serious problems that will worsen over time if not corrected. The experienced foundation repair specialists at Frontier Basement Systems can determine what conditions are causing this foundation damage. When it comes to repairing foundations, Frontier Basement Systems are the experts! 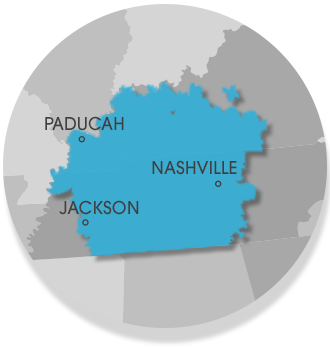 Contact us today to schedule a free estimate for foundation wall repair in Clarksville, Nashville, Jackson and nearby! The experts at Frontier Basement Systems use CarbonArmor® strips to reinforce a repaired crack in a foundation wall. Your Frontier Basement Systems technician will epoxy a series of strips across the crack, significantly improving the overall stability of the wall. We specialize in a variety of permanent solutions for stabilizing the foundation, repairing wall cracks, and straightening bowing basement walls. Don't wait until the problem gets worse. Contact Frontier Basement Systems at 1-833-428-2988 to speak with our team of experts or contact us online and schedule an inspection and estimate for reinforcing your foundation.